Sudan is 42 years old, six feet tall, and weighs 5,000 pounds and he’s the most eligible bachelor on Tinder. Sudan lives in Kenya and happens to have two horns and a low sperm count, which he mentions right there on his Tinder profile. While that would normally be a red flag, in this case, it’s actually a white one. Sudan is the last male white rhino known to exist and he needs your help. 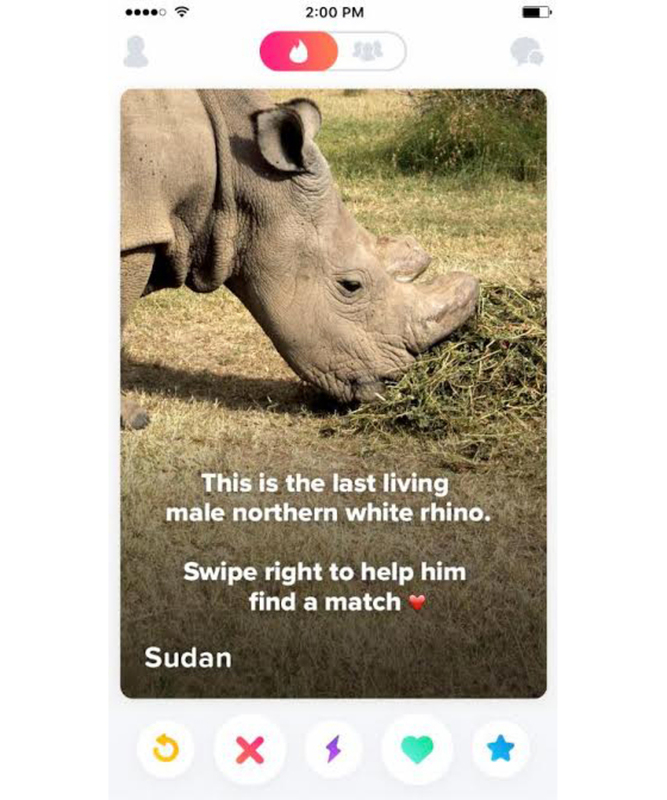 Tinder has teamed up with Kenya’s Ol Pejeta Conservancy to help save the extremely endangered rhino, by raising money for research and in-vitro fertilization to help Sudan breed with the last two female companions, according to Mashable. They hope to raise $9 million for the cause and all you have to do is swipe right (and donate).